All recipes are adjustable in calories and yield to fit your preferences. Search and filter recipes by gluten- & dairy free, low carb and vegetarian and more. We're not going by unnoticed! 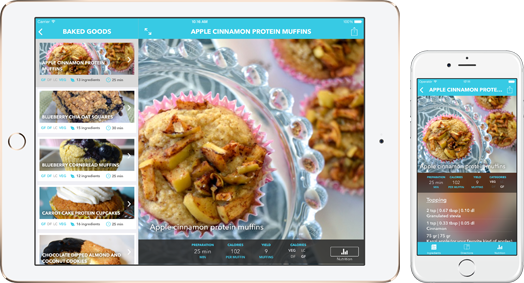 The Tasty Health app brings healthy, tasty and adjustable recipes right into your iPad and iPhone. In the App you'll find a range of tasty recipes, all low in sugar and high in protein which makes them perfect for a healthy and balanced lifestyle. Every recipe shows macros (carbohydrates, fat and protein) in grams as well as the amount of calories per serving. The app has the ability to scale all recipes to desired calories and yield which makes it easy to adjust the recipes to fit your lifestyle and preference. 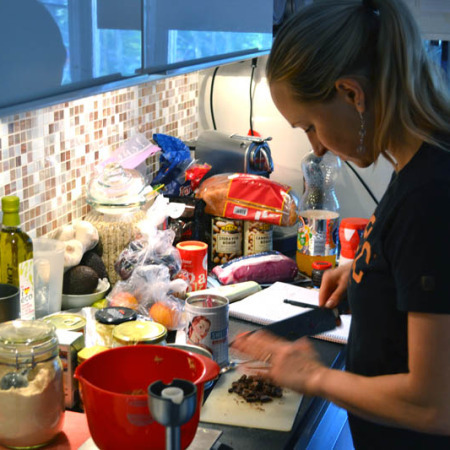 The recipes are created by Susanna, a fitness professional and nutritionist from Sweden, who has been featured in Swedish and international magazines for her creative recipes. We are a team of two with a shared passion for health and fitness. Susanna is a personal trainer and nutritionist living in Sweden. She has been in the industry for over 10 years and has worked both in New York and in Sweden and has helped thousands of clients to reach their goals. Her biggest passion is to create easy and healthy recipes that anyone can make and she wants to inpire people to get creative in the kitchen and show that eating healthy doesn’t mean you have to feel deprived. Susannas recipes has been featured in several magazines in Sweden and she has has woked with Quest nutrition and Proteinpow among other companies in the fitness industry. Susannas goal is to share her knowledge and passion for fitness and nutrition with others and to inspire people to find a healthier and more balanced lifestyle. 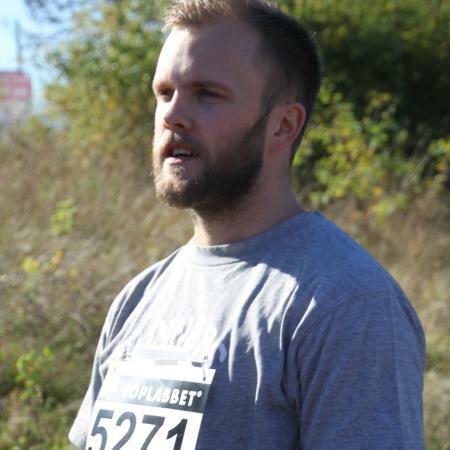 A professional developer with a passion for iOS from Sweden. Besides getting tanned by the computer screen Marcus has a passion for health & fitness.